When I lived in my first house over 25 years ago, the thought of doing something as grown up as actually getting a window cleaner was way in the back of my mind. I couldn’t believe that people paid money for someone to come and rub a rag over the windows, a job I could surely do myself with little effort and in just a few minutes every week or so. For the first few weeks I put off cleaning the windows because, well, they looked absolutely fine. There was no mud on them, how could there be? And I could see through them OK. The rain would surely clean them off anyway? It rains a lot in the UK, so why don’t people just let them wash themselves? At this point I was thinking that I was being clever, and I put some “RainX” on my downstairs windows. If you’ve never heard of it, it’s a neat chemical that was designed to go on car windscreens. It repels water, so there’s no need to wipers when it’s raining. It has mixed success. I thought this would on my windows. It didn’t. A few weeks into the summer and my parents visited. “Your windows are filthy!” they said, in unison. I decided to get up a ladder and clean them. I bought a sponge and squeegee from Wilkinson’s and got to work. After about two hours, I’d got a house frontage pouring with suds and was soaked through to the bone. To get the suds off, I got the hose out and gave the entire front of the house a big spray. It looked ridiculous. I am also glossing over the part where I nearly fell of the ladder. Twice. To be fair, I did get the windows fairly clean, but I vowed never to do it again. I gave it a few weeks before asking my neighbour for the number of his cleaner. They guy was called Bob and he popped round. For six quid he’d do the front and back! Six quid! I’d spent more than that on the bucket, sponge and other stuff! He cleaned the windows in 30 minutes. They were spotless, and so was he. He wasn’t covered in suds and water and hadn’t fallen off a ladder. The thing is, he was experienced. 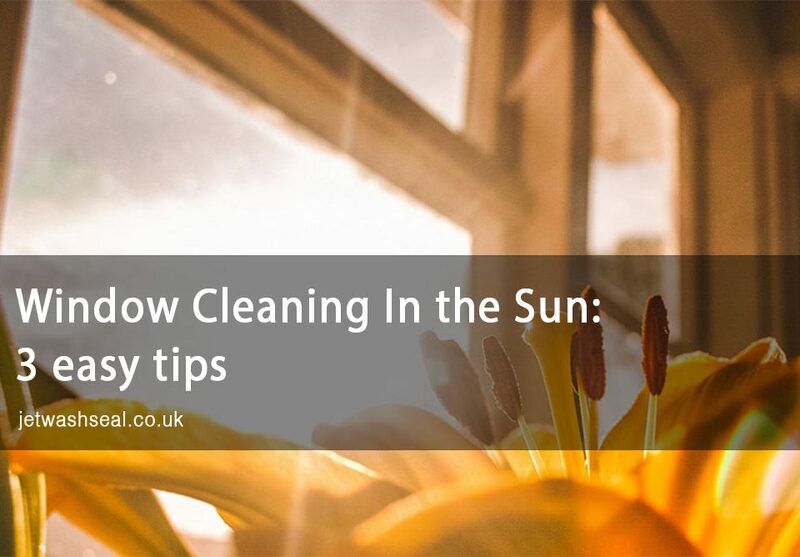 Cleaning windows isn’t just about dipping a soggy sponge in soapy water, it’s about doing the job right, and safely. In fact, you won’t find a ladder in most cleaner’s vans these days because they use the new and far more efficient pole systems. So if you’re on the fence about getting that cleaner on board, give them a call, it’ll get your windows ready for summer and it won’t cost you the earth.